This release of Pure further enhances the system's research networking capabilities, which resulted from the integration of SciVal Experts into Pure earlier in the year. Customers with the Pure Experts Portal can now join SciVal Experts customers and choose to be part of the Experts Community. The Community – made up of over 50 international institutions and containing over 80,000 profiles - increases cross-institutional collaboration by allowing users to simultaneously search for a subject area expert both inside and outside of their own institution. Current SciVal Experts customers also benefit from the advanced reporting, administration and CV modules provided by migrating to Pure 5. 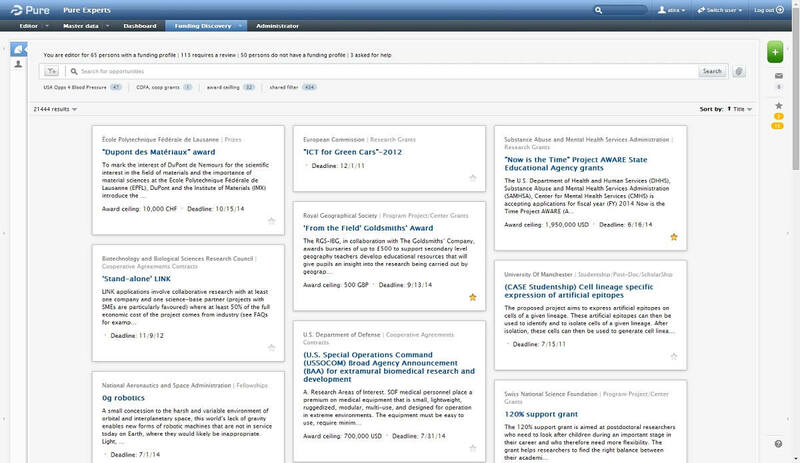 Increase your researcher's awareness of available relevant funding opportunities and decrease the time spent managing the internal funding discovery workflow process with the beta release of Pure's Funding Discovery module. Your researchers receive targeted funding opportunities matched to their personal Fingerprints via alerts both in and outside of Pure. 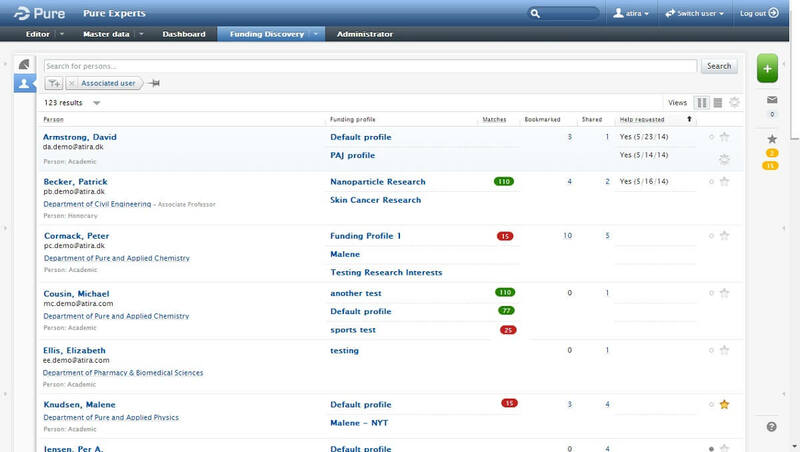 Your administrators can efficiently track, monitor and manage your researcher's progress through the funding discovery process using dashboards, reports and more. 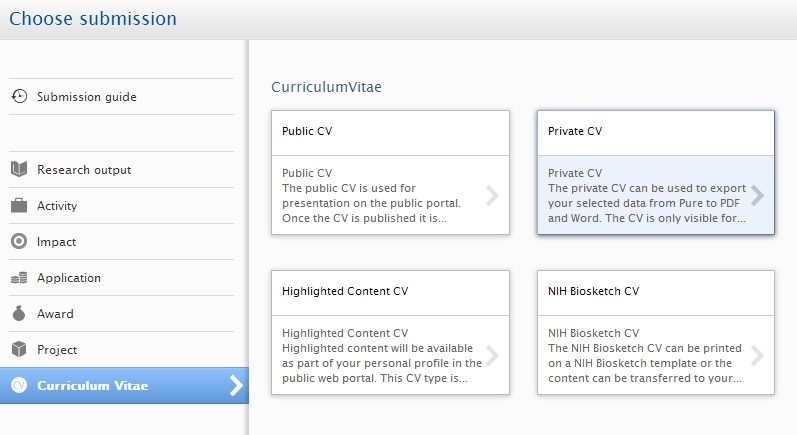 The CV module in Pure has been enhanced and now makes it effortless to create a CV in the NIH Biographical Sketch (Biosketch) format, used in US National Institute of Health (NIH) grant applications.